For more than twenty years, ABBA has been manufacturing high-quality replacement parts and assemblies to fit most major brands of centrifugal pumps used in municipal water & wastewater applications. The company’s array of products and services stretches far beyond supplying parts. In addition, they offer fully operational gear and even complete pumps that exactly interchange with: Fairbanks Morse, Smith & Loveless, Aurora, Worthington, Allis Chalmers, American Wellworks, Chicago, Clow / Yeomans, Cornell, Crane Deming, De Laval, Gorman Rupp, Goulds, Marlow, Mather & Platt, Morris, Paco, Patterson and Wemco pumps. You can see the quality advantage we offer by putting their products next to the OEMs. Delivery and price advantages can be shown with every quote. 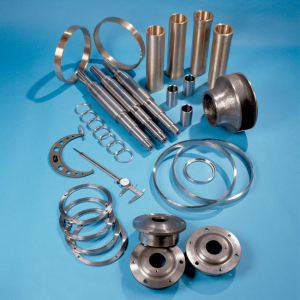 And, with ABBA Parts, we can help cure cavitation issues and other operational concerns. We can even convert dry pit to dry pit submersible installations with no change to foundations, structures or piping! At C&B, we’re always trying to find ways to serve you better and partnering with ABBA Parts is just one of the many ways we accomplish this. ABBA’s commitment to quality is not only evident in the materials, workmanship, performance and fit of the parts they manufacture, but also in their “can-do” attitude towards customer service and delivery lead times.